Are you interested in editing a photo or image, but at the same time feel put off by some of the editors that you may have tried to use? That is a complaint that is all too common, and stems from the fact that many editors have a steep learning curve and are designed for professionals. 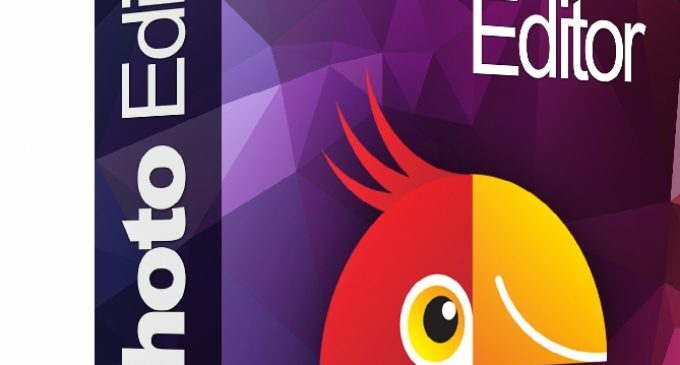 The good news is that Movavi Photo Editor (https://www.movavi.com/photosuite-download/) is not like that at all, and instead will provide you with a user-friendly editor that is intuitive and easy-to-use. It has become popular due to the fact that it has practically no learning curve, and even if you have no prior experience editing photos you should be able to start doing so in a matter of minutes. Adjust the color settings manually or automatically in order to enhance the quality of any photos or images. Correct issues such as blurry, pixelated or grainy images. Transform the frame of an image by flipping, rotating, cropping, resizing or leveling it. Delete any unwanted objects, people or other elements from within an image while making sure that no imperfections are left behind. Remove the background from an image to either create a transparency or replace it with a new image. Touch up portraits by removing blemishes, smoothening wrinkles, applying digital makeup, altering eye colors, and more. Apply different styles of artistic filters to give an image a unique visual appearance. Add creative-looking text elements that can be customized to create captions, watermarks, titles, and more. In a nutshell the features in Movavi Photo Editor will equip you with everything you need to alter your images in any way that you see fit. Although some of the features may seem a bit advanced at first glance, each one of them is intuitive and you should be able to figure out how to apply it in a minute or two at most. Some of the features are even automated, and may be applied with nothing more than a single click. 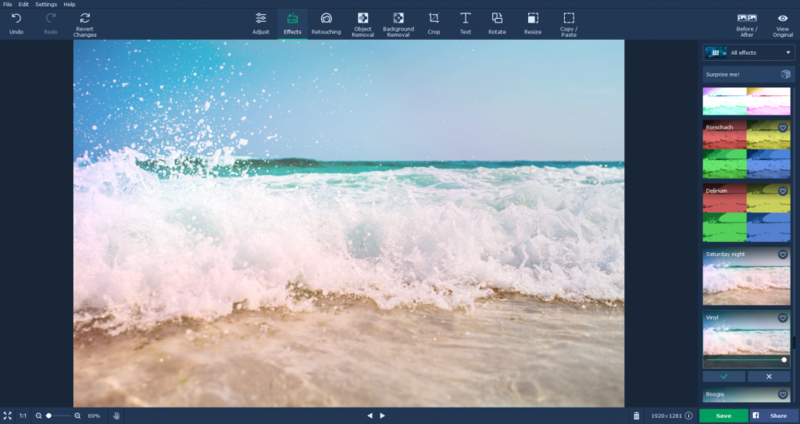 All said and done if you want an easy photo editor that is still versatile and powerful enough to suit your needs – Movavi Photo Editor will definitely be worth trying out. By spending a couple of minutes with it and experimenting with its features you should be able to see firsthand how intuitive it is, and what makes it so unique.